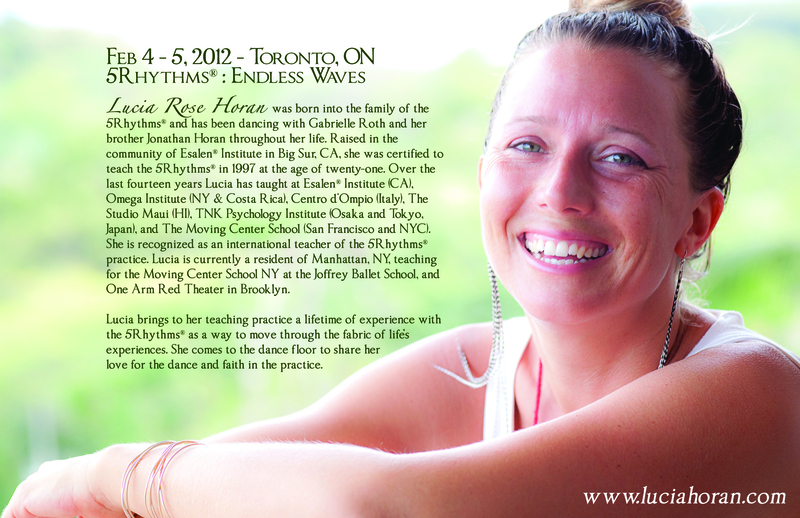 “Embodying P assion” was the second module of a Toronto 5Rhythms Waves Series that will stretch through 2014-2016, led by 5Rhythms teachers from across North America. Each will share their uniquely embodied approach to this dynamic moving meditation practice. Participation in all the modules of the series is encouraged but not mandatory. When we meet the world and embody our passion, we express the desire to move forward with our hearts purpose. In the Rhythm of Staccato we explore clarity, communication and focused pow er and use them as tools to cut through the murkiness we sometimes feel in the body. We explore and define our personal boundaries and create a personal container where we restore our inner fire. Staccato is where we build our energy by moving on the percussive beat and expressing our intended passion . This passion wants and needs to be expressed but through layers of conditioning may be buried. After this 5Rhythms Staccato workshop we will dance away feeling our body’s energy guiding us to live our passion with clarity and creative action. 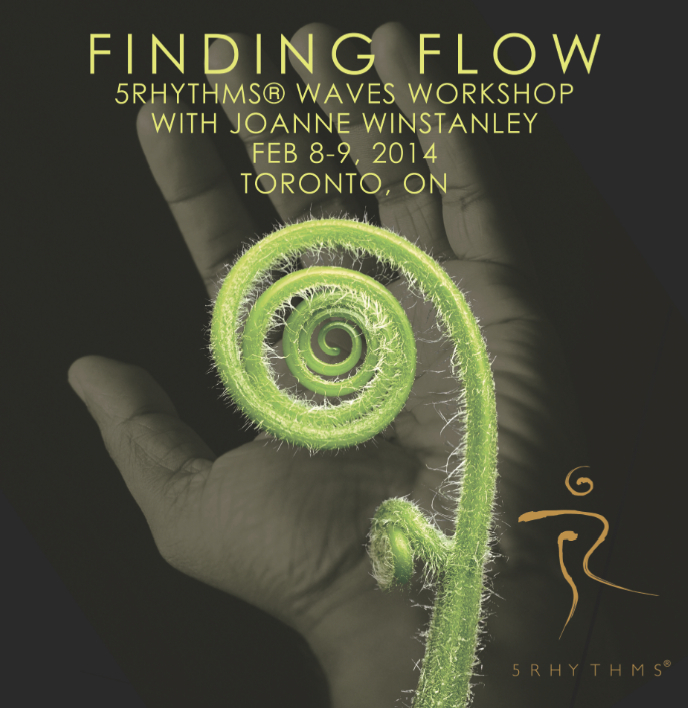 “Finding Flow” was the first module of a Toronto 5Rhythms Waves Series that will stretch through 2014-2016, led by 5Rhythms teachers from across North America. Each will share their uniquely embodied approach to this dynamic moving meditation practice. Participation in all the modules of the series is encouraged but not mandatory. There is a current, a movement, a force that flows through our bodies and through all of Life. When we forget our connection to this current, we may find ourselves feeling sluggish, brittle, ungr ounded, unsupported, or stuck. Without its flow, we may override the needs of our own bodies, ‘pushing’ our way through life. 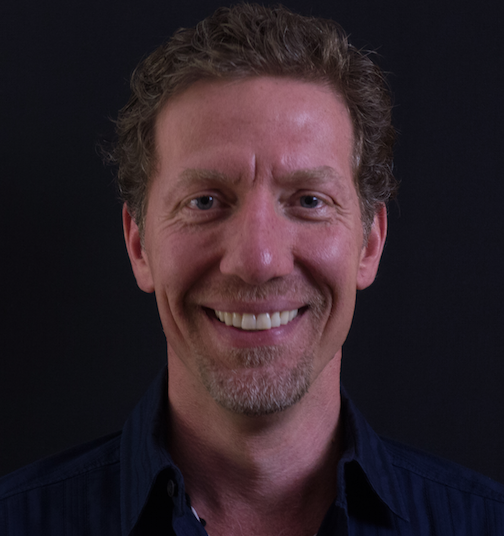 When we connect with this current, we naturally open to cues from our own bodies and from the people and environment around us – moving at our own rate, our own tempo, in whatever direction life guides us. There is nothing sweeter, more nourishing, more restorative – and, sometimes, more challenging – than simply connecting with our own Flow. We move through the 5Rhythms to free the body, listening to this endless source of wisdom and learning, to expand, empower, and enlighten our potential for presence, so that whatever comes our way becomes our meditation. 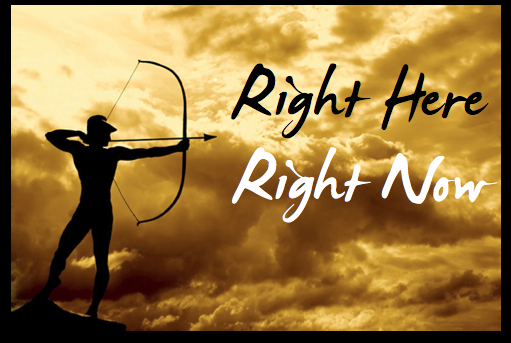 This is it: right here, right now. This workshop focused on the foundational principle of the 5Rhythms – light and shadow. Each of the Rhythms presents us with an opportunity to expand and contract honouring the natural polarity of life. How do you move from the funk into the funky? When we dive deeply into our dance, our bodies, and our psyche, we reveal what jewels of awareness lie at our depths. The 5Rhythms® moving meditation practice is an improvisational form of dance – a workout for the body and soul. It is a map in which to understand the cycles that rule human nature and the universe. 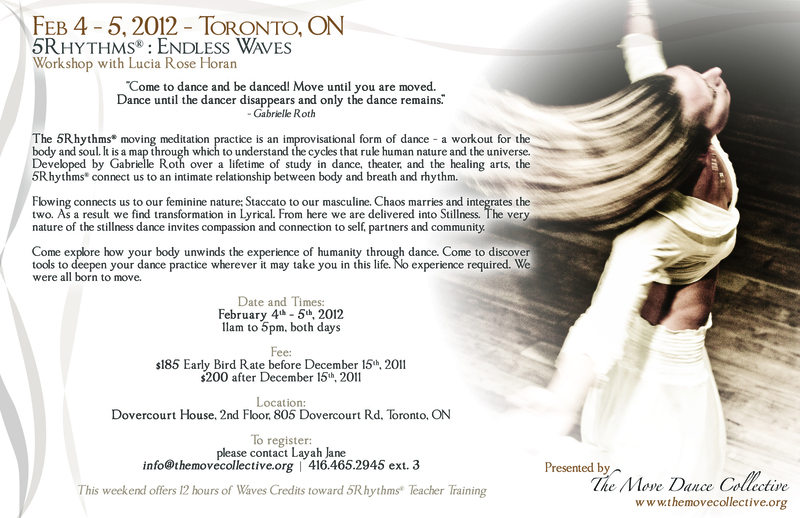 Developed by Gabrielle Roth over a lifetime of study in dance, theater, and the healing arts. The 5Rhythms® connects us to an intimate relationship between body and breath and rhythm. Flowing connects us to our feminine nature; Staccato to our masculine. Chaos marries and integrates the two. As a result we find transformation in Lyrical. From here we are delivered into Stillness. The very nature of the stillness dance invites compassion and connection to self, partners and community. 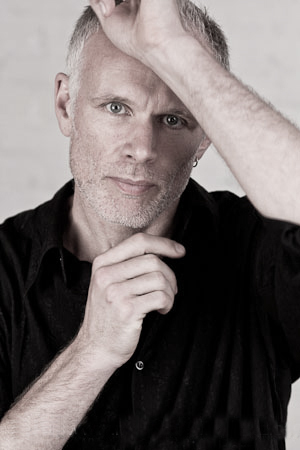 Come explore how your body unwinds the experience of humanity through dance. 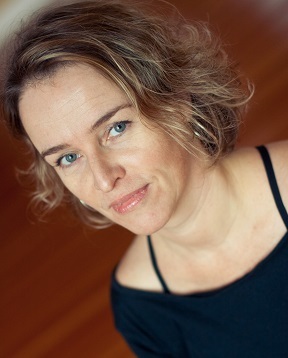 Come to discover tools to deepen your dance practice wherever it may take you in this life. No experience required. We were all born to move.